When targeting two breakable windows with Quietus, one window will break and the other will not when hit by the projectiles. The unbroken window will remain indestructible for the rest of the game. I first noticed this in The Frozen Court. The breakable stained glass windows at the tops of the stairs are right next to each other. When I swung Quietus at them, one window broke but the other did not, even when hit by other weapons. This denied me access to the item behind it. I wasn’t sure whether to tack this on to the previous bug report about Quietus, but it seems to be a separate issue. In case it does turn out to be related, the window glitch happened when firing Quietus without any blue or green mana, i.e. the other glitch had already occurred. On further analysis, this might actually be a script issue. In most Hexen maps, the same script is used for all same-looking windows, just with different variable input. I think this issue can occur with any Hexen map on any engine as long as the default example is being used. I’ll make some tests with using a separate script for each window in a map. I have been able to reproduce this with other glass textures, so it seems to be an engine problem. I tried this out on other maps with breakable windows. 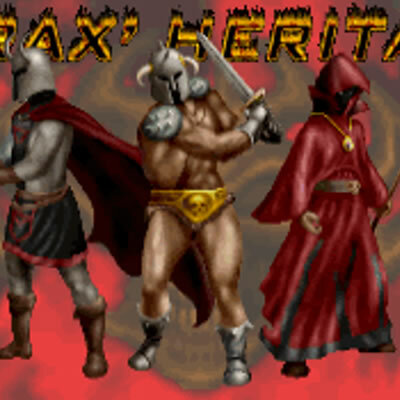 The glitch does not occur with the window types that were breakable in the original Hexen. It only occurs with that particular type of glass, the one that has the texture framed in gray stone. I don’t know the ID for it. This has probably something to do with the way the script works to “break” that glass. Have you noticed it in any other map?